BIM Strategy, Collaboration, and Interoperablity… Getting it right from square one. The construction industry (architecture, engineering, construction, operations/facility management, business product manufacturers, oversight and regulatory groups), like most other sectors, is in a state of rapid change. Construction delivery methods are at the center of this ongoing transformation as they dictate the structure, tone, and legal requirements of any project. 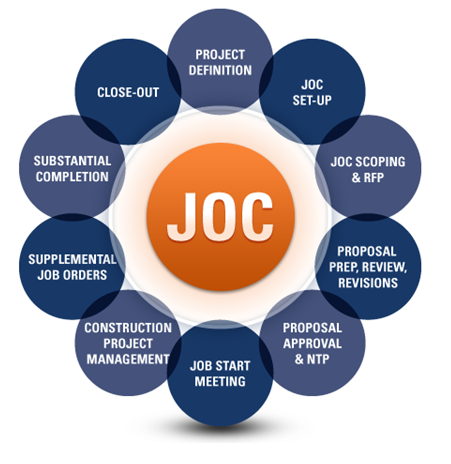 Thus, whether you are involved with construction, renovation, repair, and/or sustainability projects… Integrated Project Delivery – IPD, for new construction, Job Order Contracting – JOC, for minor new construction, renovation, repair, and sustainability and Public Private Partnerships – PPP, are examples of collaborative construction delivery methods that are rapidly replacing traditional and somewhat dysfunctional methods such as Design Bid Build (DBB). While collaborative construction delivery methods have been in existence for decades and are well proven, they are only recently being more readily adopted. The drivers for change include environmental, economic, and technology factors. We are all aware of shrinking resources whether budgetary or non-renewal energy related, as well as associated environmental regulations relative to global warming, the latter of which will become increasingly stringent. That said, disruptive technologies such as BIM (Building Information Modeling) and Cloud Computing are also a major causal factors as well as enablers relative the business process change so desperately needed with the construction sector. As collaborative construction delivery methods become more common, the need to share information transparently becomes paramount. Project teams need to adapt to early and ongoing information sharing among distributed team members and organizations. In the case of JOC (also known as SABER in in the United State Air Force), technology has been available for over a decade to support virtually all aspects of collaborative project execution from concept thru warranty period. An example is 4Clicks Project Estimator combined with RSMeans Cost Data, and/or organizational specific unit price books. With all parties leveraging the same data and following robust, collaborative processes from concept, thru site walk, construction, etc., the net result being more jobs being done on-time and on-budge with fewer change orders and virtual elimination of the legal disputes, the latter be unfortunately common with traditional methods. How built environment stakeholders share information and work together will continue to evolve. The methods in which we, as Owners, Contractors, AEs, etc. participate in this exchange within our domains will determine our ultimate success or failure. As show in the following graphic, the project delivery methods, while a fundamental element, is just one “piece of the BIM pie”. Multiple “activities” , business processes” , “competencies”, and “supporting technologies” are involved in BIM. 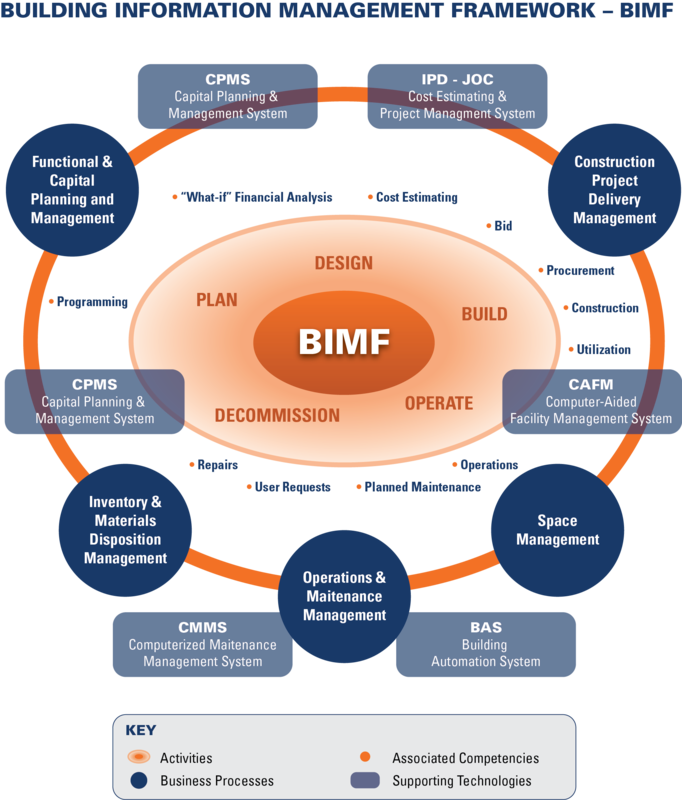 BIM is “the life-cycle management of the built environment supported by digital technologies”.